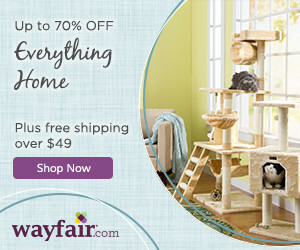 I doubt that anyone reading this blog needs convincing that cats are family members. In fact, for most of us, it’s hard to understand that not everyone feels the way we do, but the fact of the matter is that cats (and dogs) were once wild animals. In Citizen Canine: Our Evolving Relationship with Cats and Dogs, Science deputy news editor David Grimm explores the changing status of cats and dogs in our society, from their wild origins to their current status of the most loved and valued animals on the planet. In “Family,” Grimm examines how pets went from feral animals to becoming virtual children. In “Citizen,” he explores the legal ramifications of these developments, how they are transforming society and what the future holds for us and our pets. I expected Citizen Canine to be a somewhat dry, scholarly treatise of these topics, and I couldn’t have been more wrong. 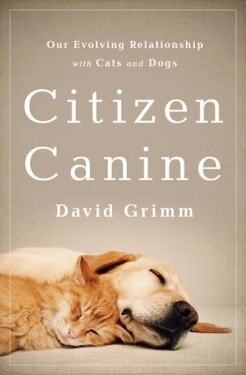 Grimm’s engaging writing style captured me from the very beginning, when he explains how his journey into the world of pet personhood began: Three months after adopting a pair o two-month-old grey and white kittens, Grimm found himself in an animal emergency clinic. Jasper was in the final stages of kidney failure. By the time Grimm and his fiancee arrived at the animal ER, they had already spent close to $3,000 on diagnostics and treatment (the cause of Jasper’s renal failure was never identified.) While they were sitting in the waiting room, they found themselves contemplating at $20,000 kidney transplant. Fortunately, it never came to that: even though Jasper’s kidneys were damaged, he did recover. Once Jasper was safely back home, Grimm reflected back on the experience, and realized that even a couple of decades ago, people would have laughed at him spending this much money on a kitten. What had changed? A scientist by training and journalist by trade, Grimm began his research. His quest sent him traveling across the country, spending time with a Los Angeles detective who investigates animal cruelty cases, touring the devastation left behind by Hurricane Katrina, coming face to face with wolves and feral cats, and witnessing some of the most fascinating legal cases involving pets. Make no mistake, this is not an easy read. I found the sections about Katrina particularly difficult to read and found myself sobbing at times at what some of the survivors went through. Even though I remember reading and watching some of the coverage in horror at the time, some of the stories Grimm covers in the book will haunt me forever. I also could not read through some of the sections about the animal cruelty cases, and thankfully, Grimm provided a warning ahead of some passages. I found the section on the legal implications of pets’ changing status particularly fascinating. Grimm covers this topic from many different angles: animal cruelty, breeding, rescue, veterinary medicine, laboratory research, estate planning, and more. I found myself changing my point of view several times throughout reading it. Just when I thought I had it “right,” Grimm would present yet another angle that made me question everything again. Anyone who wants to gain a better understanding of how our relationships with cats and dogs evolved will find this book enlightening. And you may just find that you’ll start questioning a few of your long-held beliefs around some of these topics. I received a review copy of this book from the publisher. Receiving the complimentary copy did not influence my review. Was already thinking of reading it, now your post has moved it way up my “to read” list. Sounds awesome, can’t wait to read! Thanks for the review. Sounds like a good book. I too think this will be a good read!